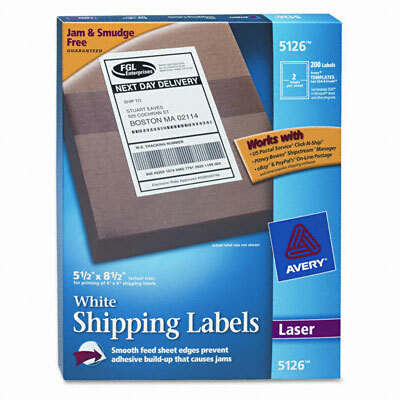 Designed for easy use with shipping application software. Perforated sheet separates into two labels or label and receipt. Designed for easy use with shipping application software. Perforated sheet separates into two labels or label and receipt. Jam-free guarantee!.